Great new every one. The new N.J Flounder and Sea Bass Regs have been set for 2012. 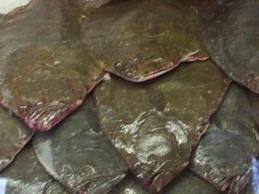 The new Flounder regs are 17.5 In 5 fish bag limit this is 3 less fish but ½ in shorter. The season will be from May 5 to September 28. That is 5 More days then last year. As for Sea Bass it will still be 12.5 In and a 25 fish bag limit. The season will run from May 19 thru October 19 then from November 1 thru December 31. This is 42 more days from last year.